14 OZ. CORK BASE CERAMIC MUG——– Unique mug combines matte-glazed ceramic with real cork. Includes matching slide-closure lid. Still available for purchase! Come see us TODAY at the Maryland Fly Fishing Show!! 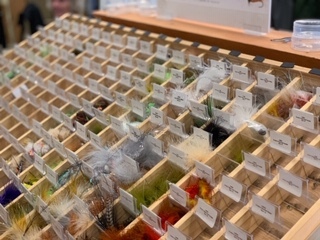 Come see us TODAY at the Maryland Fly Fishing Show! This could be yours! Outstanding raffle prizes will be given away on Saturday! Look what William Heresniak from Eastern Trophies donated for the Show! Look what William Heresniak of Eastern Trophies is raffling after his 3pm presentation!